At NYCAviation, our mission is to entertain and educate the world on all matters pertaining to aviation. Whether we are providing research or on-air appearances for the mainstream media, sharing great photos and geek talk with fellow enthusiasts, or teaching the ins and outs of the most complicated industry with the flying public through our articles, we show everyone that our human species’ ability to fly is not only fascinating and beautiful, but incredibly safe and worth celebrating. We love aviation. We want to show you why. Our team outperforms as a worldwide aerospace news, photo, resource and consulting organization for aviation enthusiasts, industry professionals and news media, alike. We specialize in publishing breaking news, insightful expert commentary and analysis, and travel and weather updates. We also share stellar photography, covering all that happens, not only in the world of commercial aviation, but the entire aerospace industry, including the general aviation, military and space sectors. OUR HISTORY: Having started off in 2003 as a planespotting publication focused on New York City, we have expanded to do so much, so far beyond NYC city limits, while still holding aviation enthusiasm dear to our hearts. Everything we do aims to educate and entertain everyone from the common traveler, seasoned avgeek or veteran aviator, or from a total layman to a rounded expert. We tirelessly continue to build new features and remain on the cutting edge of technology to complete our mission of making aviation enthusiasm easier, and air travel safer and more pleasurable for all. IN THE MEDIA: Our diverse experience in and unique knowledge of aviation make us a perfect fit to cater to our colleagues in news media by providing expert insight for print, television or radio, on all aviation sectors. We provide expert commentary of current events, travel and flying topics; or discussions on aviation enthusiasm. Learn about the value we provide and see a collection of our past media appearances on our Press page. Darin came on board in 2010 as lead programmer for various projects and future features. Growing up with aviation in his family, he has always had Jet-A in his veins, having participated in Civil Air Patrol operations before heading off to college to become an engineer of all trades. Darin is excited to spread awareness of aviation to industry professionals, hobbyists and the general public. Mark Lawrence was born in England and raised in South Africa before moving to the USA in 1998. With parents who were involved in the aviation industry, it was natural that it would grow into one of Mark’s hobbies. Mark has been a long-time member and contributor to NYCAviation, currently helping manage the site’s forum and community-related functions from his home in southern Florida. Follow Mark on Twitter at @MarkLawPhoto. Heather joins our team to spearhead avgeek gatherings both big and small around the United States, making sure they are well-coordinated and fun for all. She is a long-time avgeek and frequent flyer, herself. With an MBA from Cornell, she brings to the team a strong background in business development and social media. You can follow her on Twitter at @HAbbott4. Ben takes our lead Editor role; with tough shoes to fill, he hasn’t disappointed. This man’s passion is high octane, driving him to work hard and have such a genuine care about NYCAviation’s readers and followers. Ben oversees our written content, forms our policies, procedures and training, all while ensuring we maintain a level of quality that everyone in our community can be proud of. He lives north of New York City with his wife and son. You can keep up to date with him on Twitter at @BLGranucci. Gabe is a long-time avgeek with years of experience in airport management, a great eye for the industry and a sense of humor, to boot. On top of editing, he keeps abreast of new happenings around the industry, tasking our writing team with news articles or response editorial. Check him out on Twitter at @TheGabeAndino. Matthew first took to the skies in a Cessna 172 when he was three weeks old, and spent many an elementary school weekend as a First Officer in a Beech Bonanza. A geographer at heart, he views the magic of flight as a way to make the world a smaller and more open place. Matthew lives in Brooklyn and spends his days as an urban planner at a consulting firm. Domenick (Nick) grew up in Ozone Park, Queens. From his backyard, he had an excellent view of the approaches to JFK and LaGuardia, where he would spend summer afternoonsa watching the planes. A Hofstra University graduate, he was Program Director of his college radio station before working as a producer at PBS and as a reporter and editor for several local newspapers, including the Queens Tribune and the Queens Chronicle, where he covered JFK Airport. You can find him on Twitter at @NRafter. Andrew heads the growing NYCA army that helps get stuff done. When we start a new program, feature, task — anything at all — his team makes it their baby and sees it through. All of the “new and cool” on NYCA happens because he and his team move projects forward. He is a private pilot with many years managing airports, and you likely know an oft-stolen image of his. Our most distant staffer, John resides in Nairobi, Kenya. He is a friendly, trilingual, consummate professional who helps us through a series of tasks and projects that advance NYCAviation into the future. He has a wealth of technology-related consulting experience and an MBA in Strategic Management. You can follow him on Twitter at @TheJuniorJohn. The Photo Hangar is our own in-house photo database that allows aviation photographers to submit their work and do with it what they please, minus the restrictions of other similar, but not so similar, databases. The job of our Photo Dispatchers is to ensure that your photos maintain a standard of quality and reliability that serves the best interests of the hobby, not ad clicks. Dispatchers are not here to “screen,” but, instead, to take care of and preserve the needs of planespotters and our avgeek friends who want to see great images and use them in the ways they want to in 2017, not 1997. Years ago, Jeremy was vital-staffer number 3, sourcing written content and maintaining relationships with airlines, airports and spotters, while also covering the industry for us. He moved on to be the Editor at another site, and then to USA Today where he works as a reporter and as one of the premier aviation photojournalists in the world. We are lucky to have him back with the NYCA family. A lifetime aviation enthusiast who grew up across the water from La Guardia Airport, Phil started NYCAviation in 2003 as a way to bring the aviation world together. As the team and its expertise grew, it became a venue to advocate and to educate the world on all things aviation through site content and social media, as well as news media and documentary appearances. Aside from starting off as a military charter loadmaster, Phil also carries a dozen years of experience working in aviation operations in DoD contract, Part 121 Supplemental, Part 121, Part 135 and Part 380 environments in Operations Controller, Dispatcher, and management roles. Phil departed NYCAviation in May of 2018, leaving it in good hands, to continue to advocate for the industry and those that rely on it. You can to follow his journey on Twitter at @PhilDernerJr or email him at [email protected]. Matt joined the NYCA team in 2008 and quickly became an irreplaceable talent in making the organization what it is today. He managed the bulk of the written content, supervised all technical aspects of the website and designed much of its interface while kickstarting NYCA’s social media efforts. Matt passed away suddenly in January of 2013, leaving a gap that can never be filled, but he will never be forgotten by all those who knew him or his contributions to aviation enthusiasm around the world. Read more about our friend here. Saying Jason contributed to NYCAviation is putting it lightly. He helped take the reigns for months after we lost Matt Molnar, when Phil needed to step back for a little. NYCA is lucky to have had his name under our domain. 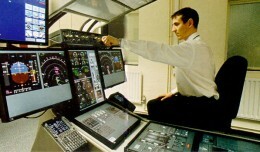 He remains known around the world as one of the premier avgeeks. His knowledge on PaxEx, flight tracking and air travel are nearly unparalleled. Get your learning on by following him on Twitter at @AirlineFlyer. Sarina was our first Editor In Chief after the passing of Matt Molnar. A brilliant writer and pilot, her participation on NYCAviation was an honor. Her smiley, cheerful demeanor did not mean that she went light on the standards for NYCA’s written content. She still works as a writer in our industry and offers flight instruction in North Carolina. You can follow her adventures on Twitter at @FlyTrueNorth. NYCAviation’s written content is the collaborative effort of a talented team of expert writers and bloggers. Whether it be the technical aspects of flying, addressing current events topics, covering news, sharing industry insight and opinion, or just a good story, our aim is to deliver entertainment and education for anyone from the casual flyer to the lifelong pilot. Photographers: James Tiedman, Tom Alfano, Ron Peel, Chris Dolan, John Klos, Mario J. Craig, Luke Wasiak, Mark Lawrence, Michael Sikoutris, Brian Futterman, Gordon Gebert, Jr. John Musolino, Eric Dunetz, Tom Turner, Fred Miller, Ed Pascuzzi, Matthew Smith, Senga Butts, Jens Juengling, Shannon Lawrence, Art Brett, Sergio Cardona, Jeremy Dwyer-Lindgren, Stephen Rankel, Alberto Riva, Joop Stroes, Justin Idle, Chris Sharps, Matt Dueck, Michael Acellana, Rajesh Changela. Flushing Airport is my Mecca. Currently, the 75-acre property lies dormant with its runways underwater and this former aviation facility’s future remains uncertain. For the good part of the last three years I’ve done some pretty decent business travel and I wanted to take a minute and share some stories and dispel some myths about frequent travel for business. So it has finally happened. What you ask? Well, pigs have flown. 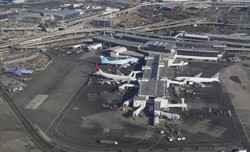 I say this because the JD Power Awards are out and both LGA and JFK have received top ratings. An Airbus A319 in a new Piedmont classic color scheme made its first visit to LaGuardia today.